Clay Taylor, Swarovski Optik specialist and digiscoping expert, will teach a workshop on digiscoping – using a digital camera or smart phone to take photographic images directly through the eyepiece of a spotting scope or binocular. The workshop, limited to 15 participants, will be made up of a two hour evening session on Friday, July 8, 6-8pm followed by an outdoor session on Saturday morning, July 9 and a follow-up session in the classroom that same morning, 8am-noon. Clay hails from the east coast, but has lived for the past decade in Corpus Christi. He is an experienced birder and hawk-watcher and he has taught digiscoping workshops all across North America. Participants should bring their scopes and digital cameras or smartphones and any adapters they have to the workshop. Cameras that tend to work well for digiscoping are DSLR’s and digital cameras with low zoom range (3x to 4x). 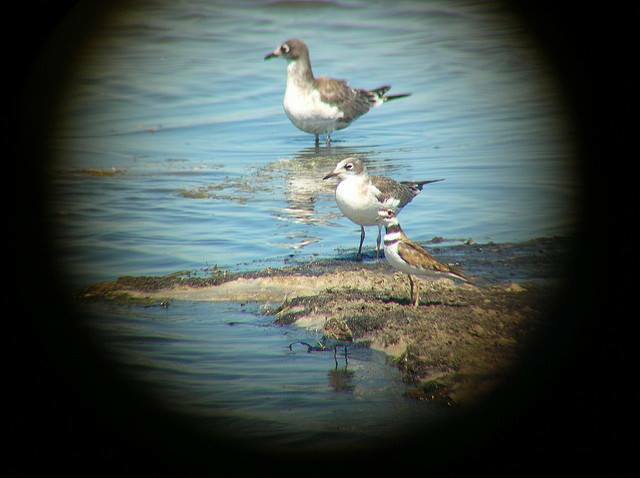 Superzoom cameras (10x to 60x) tend to not work well for digiscoping. Clay will cover the use of various different cameras and adapters which help secure the camera or smart phone to the scope’s eyepiece.